Newsham said patrol officers who were familiar with the community, with the help of citizen tips, identified the person of interest pictured in the video. Newsham said Crawford lives in northwest Washington and has a criminal history. The motive in the attack remains unknown. Newsham said there was no robbery and no apparent confrontation before the attack, which he said happened "very quickly." He said police will probe whether Crawford has any mental health of substance abuse issues. The random attack in the typically safe residential neighborhood shocked the community. "I think that this is very unsettling for anyone who lives in this city," Newsham said. "This is a very isolated instance -- you don't see crimes like this very much, even in the course of my career. It's a very unlikely thing that occurred at this intersection, but at the same time, I'm sure that doesn't bring any level of comfort to the Martinez family." 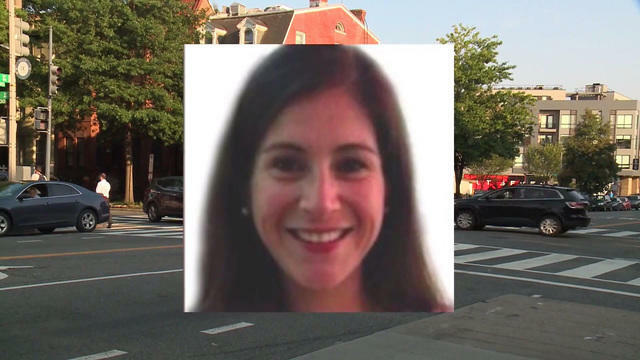 D.C. mayor Muriel Bowser said tips from the community were crucial in arresting the suspect. "This is an outraged community -- this is a woman who should be going to work today," Bowser said.